Get in the kitchen and try making one of these delicious — and healthy — pet-friendly recipes, which are so much easier than you think to pull off. All of these treats are made from basic ingredients and come together in no time. 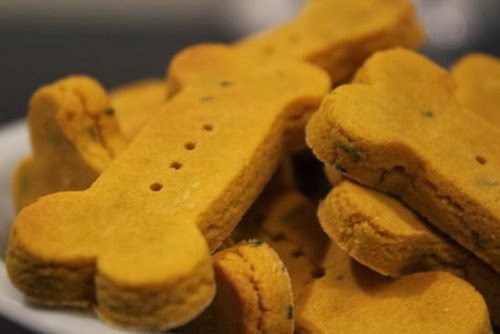 From homemade chicken jerky to delicious dog biscuits, these are the perfect goodies to make for your favorite furry friend. Makes 3-4 dozen with a 1×2″ cookie cutter. Whisk together the eggs and pumpkin puree until smooth. Stir in powdered milk, salt, and parsley until well combined. Add rice flour a little at a time until you have a firm, dry dough. I used a rubber spatula to fold in the flour until the dough got too tough, and then I switched to kneading with my hands. Roll out the dough to about 1/4″ thickness, and use a dog bone cookie cutter (or any other cute but smallish cutter) to cut out shapes, and place them on an ungreased cookie sheet. Pop them in the oven and bake for 20 minutes. Flip over the biscuits, and bake for another 10-15 minutes until baked through and turning golden brown. Remove from the oven and cool completely before feeding to your pup. Liver treats: Blend chicken or beef liver with plain yogurt, then freeze in an ice cube tray. Banana-yogurt treats: Slice a banana, then place one slice into each cup in an ice cube tray. Pour dollops of yogurt over each banana slice, then freeze. Egg treats: Blend a few whole eggs (including shells) until smooth, then freeze in an ice cube tray. Pumpkin treats: Blend some plain yogurt with canned pumpkin (not pumpkin pie mix), then freeze in an ice cube tray. 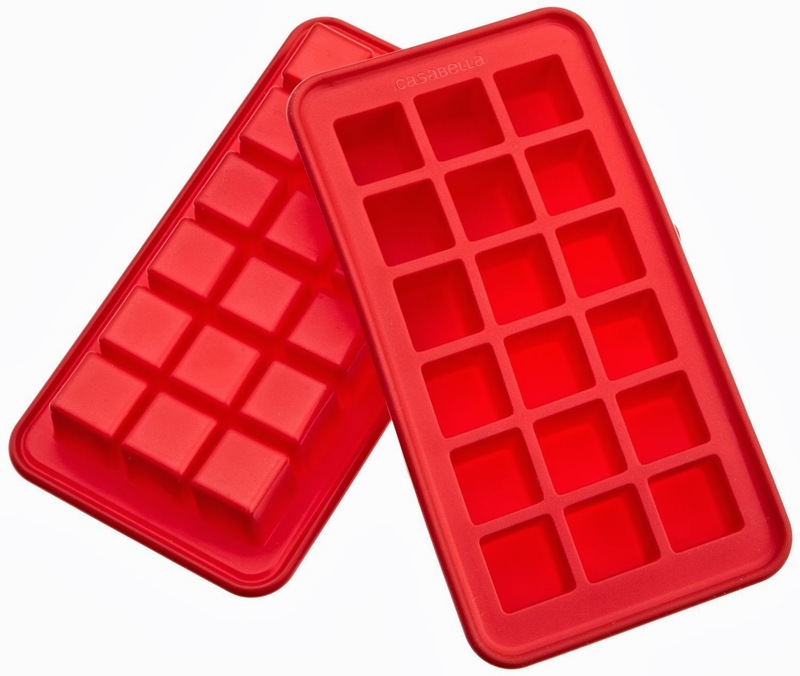 Click below for 4 more recipes and a link to purchase the pictured ice cube tray. Cottage cheese and cheddar treats: Place a dollop of cottage cheese in each cup of an ice cube tray. Cut cheddar into small chunks, and then press one into the center of each cottage cheese dollop and freeze. Chicken or beef treats: Place a little leftover cooked chicken or beef in the cups of an ice cube tray. Pour unsalted chicken or beef broth over the meat and freeze. Tuna treats: In a bowl, mix plain yogurt with tuna (packed in water). Place a dollop of the tuna-yogurt mixture in each cup of an ice cube tray and freeze. Peanut butter treats: Blend up some peanut butter and plain yogurt, then freeze in an ice cube tray. use the below link or the “Adopt A Shelter” link in the right hand column for all your shopping and the PCCV Rescue receives a donation from the website. Example: Amazon will donate up to 7.5% of your purchase to Pomeranian rescue, just for using this link! Merrick Senior Medley, Fat Free Yogurt. 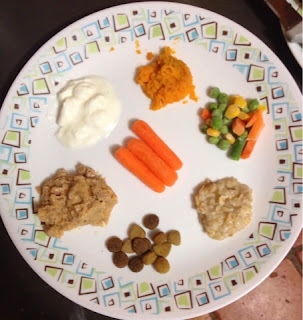 Center: Carrots for snack. There have been a few inquiries about what we are feeding Willie to help him shed a few pounds. He seems to be doing well with the change in diet and has adjusted without any stomach upset. He has gone from 14.5 to 14 in 2 weeks. I had hoped to be a few more ounces along, but Mother Nature threw a wrench in those plans with this winter in ?March weather. Only managed to get 3 walks in. He is still VERY food motivated and a little piggy! But his meals are twice as large as he was receiving using only dry kibble (he was getting 1/4 cup twice a day), so he is getting fuller and not so much a piggy. He actually walked by our dogs bowl without diving in after I forgot to pick it up. I was shocked! The first day he was here he ate all 3 of our dogs dinner before I realized it. And that was after he had eaten his! Please comment below with any diet tips, tricks, questions you may have regarding feeding overweight or obese dogs. When all ingredients are mixed together it makes 1/2 cup. Willie is fed this twice a day in addition to receiving plenty of carrots and green beans as treats. Each meal has the wet and dry food as a base. The other ingredients can be increased, decreased, left out as desired as long as meal totals 1/2 cup. I occasionally mix in a couple slices of banana or some chopped red apple. He also gets 2 – 5 calorie mini bones cookies at bedtime (these are what his mom gave him, so we won’t take these away, we just cut him from 3 to 2). He seems to enjoy the moister diet. His water consumption has decreased to a normal level. Mix up a few days worth in Tupperware and measure out approx 1/2 cup at mealtimes (adding the dry kernels to the top). Preheat your oven to 350ºF. In a bowl, mix together the lean ground turkey, chopped carrots, and peas. Add the oats and eggs. Mix until fully blended. 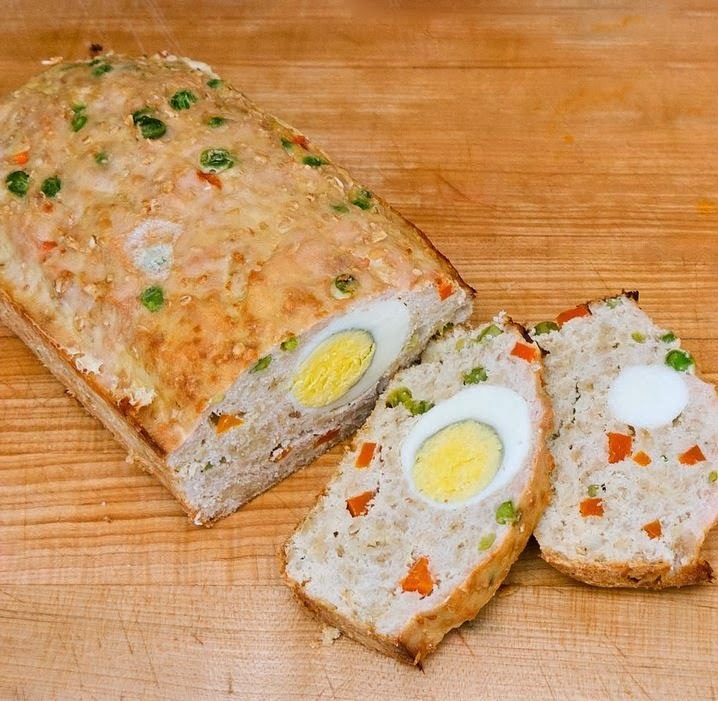 Place the three hard-boiled eggs or slices along the center of the loaf and then cover with the other half of the ground turkey mixture.